In-car listening has gone up in the past year. Of people who have listened to a podcast, the number who say in-car listening has become their most common location jumped from 18% to 22%, after years of steady but small growth . This makes sense. People like listening to podcasts while doing rote activities like commuting. But, if we compare this data with the other year-over-year increases we saw in this year's Infinite Dial - the number of people who are familiar with podcasts (64% or 180 million), who listen to podcasts monthly (26% or 73 million), and the average number of podcasts listened per week (seven, up from five in 2017) - we can see that this jump in in-car listening is notably high. But what's causing this rise? We see a near-identical rise in respondents who have an in-dash system in their car - three percent or 8.4 million people in real terms. This is why podcast listening while driving, already the second most popular option for podcast consumption, has become even more widespread. In the past, as podcasts and internet radio apps like Pandora and Spotify gained popularity in the US, the primary method for people to listen in the car was by USB connection. 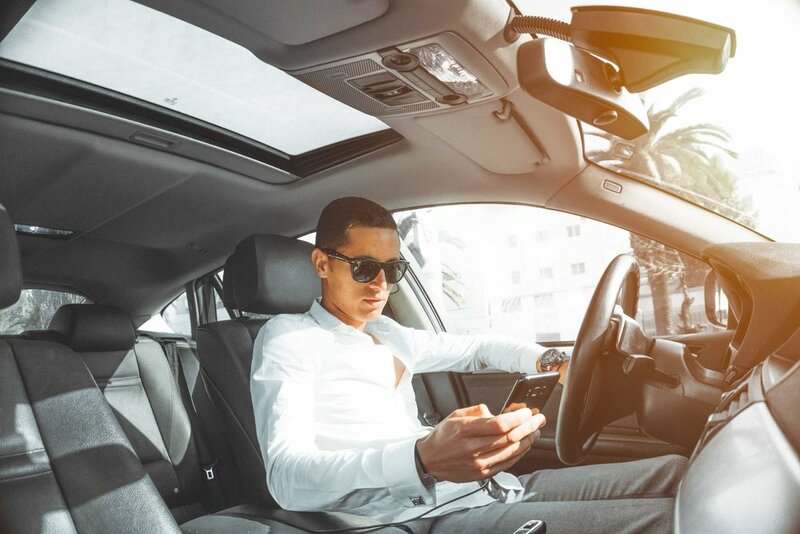 But since the 2000s, we'e see more drivers use the Bluetooth capabilities of their in-car dashboard systems to connect with their smartphone. This gives listeners a way to seamlessly transition from listening to their phone to listening through the car's speakers wirelessly. We expect that the continued spread of this technology will lead to more podcast listening in the car, much like how the rise in smart speaker technology has lead to more podcast listening in other ways. But what does this mean for podcast sponsors? Fundamentally, the ways that sponsors should craft podcast ads and podcast ad campaigns remain the same. Many podcasts adhere to a commute-long show (30 or 60 minutes), so podcast content is already structured for car listening. One possible consideration for sponsors is that as a larger percentage of listeners consume podcasts while driving, direct response ads (which require follow up on a sponsor's website) might be harder for listeners to follow through on. Their responses will be delayed until the end of their trip, so sponsors will need to think more about creating better promotional codes and special URLs, and work to create even more memorable ad scripts that listeners can recall later. You can read the rest of our breakdown of the 2018 Infinite Dial survey here, and download the report on Edison Research's website.